CHARLESTOWN NEVIS (March 03, 211) — Minister responsible for Health in the Nevis Island Administration (NIA) Hon. Hensley Daniel, welcomed the establishment Cancer Treatment Centre of the Eastern Caribbean in neighbouring Antigua, at the request of the Organisation of Eastern Caribbean States (OECS) but underscored the need for redoubled efforts towards prevention and treatment of the disease. He was at the time delivering remarks at a meeting at the Alexandra Hospital Conference Room on February 25th with health professionals including head of a newly established Cancer Treatment Centre in Antigua, Oncologist Specialist Dr. Arthur Porter and Chief Medical Officer in the Federation Dr. Patrick Martin, that the NIA continued to deal with patients who sought medical care for cancer further away in the United States, Trinidad, Barbados and Cuba. “If it is nearer to our shores with the same kind of services, we welcome that. We welcome that worry in the sense that based on information provided, it appears as though there is going to be a lot of work for that cancer treatment center to do. “What I would hope is that we can begin to now redouble our efforts towards prevention, treatment, care and support so that it would not require so many people rush off to the center,” he said. 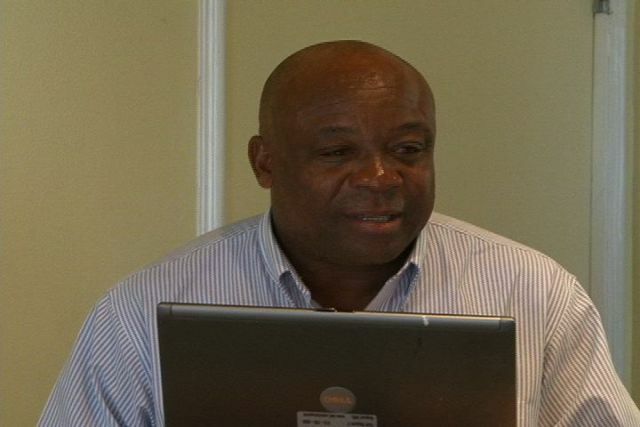 The Health Minister pointed to the instances of cancer in Nevis for 2010 and described it as a worrying trend. He said in a population of 12-13,000 people 24 new cases in one year represented a real crisis and a matter he had brought to the attention of his Cabinet Colleagues. Mr. Daniel said a look at some of the risk factors [low levels of physical activity, low consumption of fruits and vegetables, four or more alcoholic beverages a day] which predisposed one to cancer, suggested for Nevis that there was absolute need for behaviour change and towards the propensity to consume fruits and vegetables and to exercise. He said in a modern society where there was technology which made information readily available, it was reprehensible that citizens were not acting on it. “What we need now… is for a paradigm shift and new behaviour because it means (a) that we will be losing more people with their full contribution to the economic and social development of the country and (b) increasing the burden of health care and all of this can be prevented if all citizens act on the information,” he said. The Health Minister said the NIA had continued to provide information through the Health Promotion and the Health Education Units and continued its campaign of locally produced fruit and vegetable consumption but believed the time had come for the need to make good food cheap and bad foods expensive. Therefore, the Ministry of Trade and Industry would have to work closely with the Ministry of Health to address the matter of fruits and vegetable consumption on Nevis. 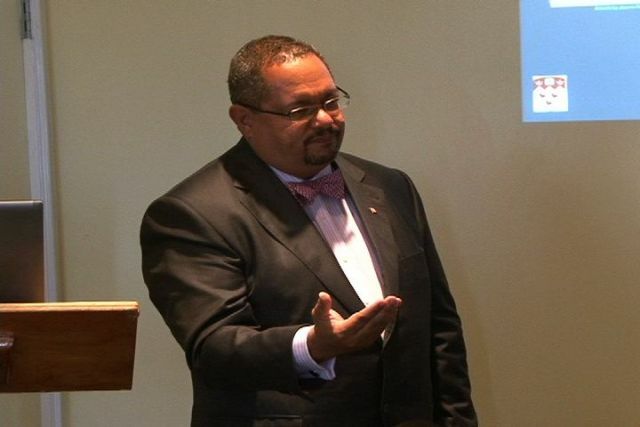 Dr. Porter, a Professor at the McGill University Health Center in Montreal, Canada, said he began working in the Caribbean in 1999 and began putting together plans for a comprehensive first class cancer treatment center in the Bahamas. When the facility was developed, it became the only one of its kind in the Caribbean accredited by the American College of Radiation Oncology. The facility was then expended with a center in Trinidad. Some years ago at the request of the OECS, a programme was developed which was housed as a radiotherapy facility in Antigua with outreach into all member states. “This is an opportunity for all the territories of the Eastern Caribbean to have a first grade cancer center. The cancer center itself is a physical entity which will be located in Antigua but it is really there to serve all of our people. So it will act as a hub and spoke with doctors who would come and do clinics here in St. Kitts and Nevis as well as other countries within the Organisation of Eastern Caribbean States. “At the same time, we will be able to make sure the patients have the right type of radiotherapy which would be delivered in Antigua but their chemotherapy, their consultation and their follow ups will take place back in their home countries,” he said. Dr. Porter was of the view that this form of rigorously defined high quality therapy would make the facility on par with any other country in the world. He also spoke to the methods of treatment. “What we will be doing is using linear based therapy, that’s about the highest quality we can do. We will be able to use all of the latest techniques and we will be able to ensure that we will be able to maximise cure but at the same time minimise toxicity,” he said.